Jane Austen fan? Stationery addict? 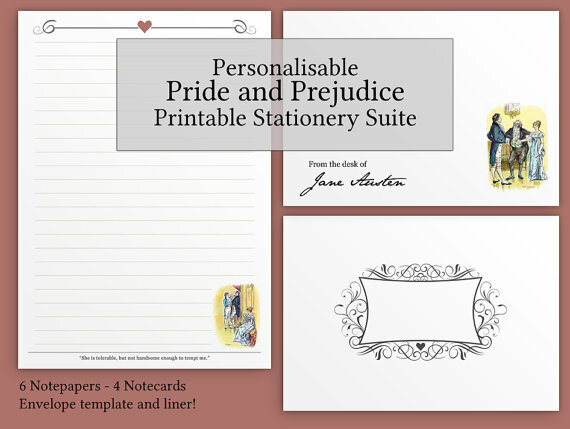 Take a peek at my Pride and Prejudice-inspired stationery suite, now available for instant download via my Etsy shop. The set includes six styles of notepaper, four personalisable notecards and an envelope template (with pretty matching liner) for you to print and use to your heart’s content. For more images and further details, take a peek at the listing in my Etsy shop.